“Gannett is simply trying to distract from the fact that they have no credible path to achieve a $12 valuation on their own. Under Chairman Jeff Louis’s watch, Gannett’s Adjusted EBITDA is down a staggering 31% and free cash flow has declined by a whopping 50%, resulting in the destruction of over 40% of the company’s value – all the while leveraging up to overspend on aspirational digital assets. “Gannett should do the right thing and resume discussions with MNG towards a transaction, or in the alternative, immediately commence a strategic review process to maximize value for all Gannett shareholders. Moelis & Company is acting as financial advisor to MNG Enterprises. Olshan Frome Wolosky LLP is serving as legal counsel to MNG Enterprises. Okapi Partners LLC is serving as proxy solicitor. 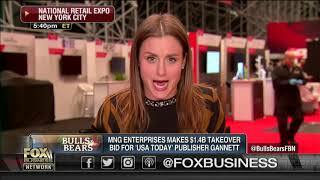 MNG Enterprises, Inc. is one of the largest owners and operators of newspapers in the United States by circulation, with approximately 200 publications including The Denver Post, The San Jose Mercury News, The Orange County Register and The Boston Herald. MNG is a leader in local, multi-platform news and information, distinguished by its award-winning original content and high quality, diversified portfolio of both print and local news and information web sites and mobile apps offering rich multimedia experiences across the nation. For more information, please visit www.medianewsgroup.com. MNG Enterprises, Inc., together with the other participants named herein (collectively, “MNG”), intends to file a preliminary proxy statement and an accompanying proxy card with the Securities and Exchange Commission (“SEC”) to be used to solicit votes for the election of its slate of highly-qualified director nominees at the 2019 annual meeting of stockholders of Gannett Co., Inc., a Delaware corporation (the “Company”). MNG STRONGLY ADVISES ALL STOCKHOLDERS OF THE COMPANY TO READ THE PROXY STATEMENT AND OTHER PROXY MATERIALS, INCLUDING A PROXY CARD, AS THEY BECOME AVAILABLE BECAUSE THEY WILL CONTAIN IMPORTANT INFORMATION. SUCH PROXY MATERIALS WILL BE AVAILABLE AT NO CHARGE ON THE SEC’S WEB SITE AT HTTP://WWW.SEC.GOV. IN ADDITION, THE PARTICIPANTS IN THIS PROXY SOLICITATION WILL PROVIDE COPIES OF THE PROXY STATEMENT WITHOUT CHARGE, WHEN AVAILABLE, UPON REQUEST. REQUESTS FOR COPIES SHOULD BE DIRECTED TO THE PARTICIPANTS’ PROXY SOLICITOR. The “Participants” in the proxy solicitation are anticipated to be MNG Enterprises, Inc. (“MNG Enterprises”), MNG Investment Holdings LLC (“MNG Holdings”), Strategic Investment Opportunities LLC (“Opportunities”), Alden Global Capital LLC (“Alden”), Heath Freeman, Timothy A. Barton, R. Joseph Fuchs, Guy Gilmore, Dana Needleman and Steven B. Rossi. 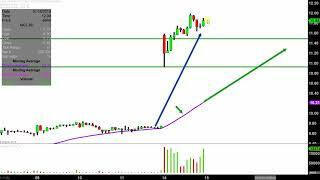 As of the date hereof, Opportunities beneficially owns 8,506,799 shares of common stock, par value $0.01 per share (the “Common Stock”), of the Company. MNG Enterprises, as the sole member of MNG Holdings, may be deemed the beneficial owner of the 8,506,799 shares owned by Opportunities. MNG Holdings, as the managing member of Opportunities, may be deemed the beneficial owner of the 8,506,799 shares owned by Opportunities. Alden, as the investment manager of funds that collectively hold a majority voting interest in MNG Enterprises, may be deemed the beneficial owner of the 8,506,799 shares owned by Opportunities. Mr. Freeman, as the President of Alden, may be deemed the beneficial owner of the 8,506,799 shares owned by Opportunities. As of the date hereof, Messrs. Barton, Fuchs, Gilmore and Rossi and Ms. Needleman do not beneficially own any Common Stock. Business Wire, acquired by Berkshire Hathaway in 2006, is the global market leader in commercial news distribution. Thousands of member companies and organizations depend on Business Wire to transmit their full-text press releases, regulatory filings, photos and other multimedia content to journalists, financial professionals, investor services, regulatory authorities and consumers worldwide. 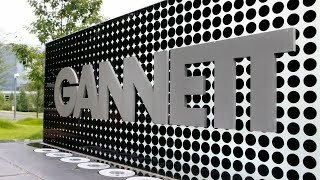 Lastest videos : GANNETT CO. INC.
Would USA Today publisher Gannett benefit from hostile takeover bid?